Truck accidents are among the most devastating crashes that can occur on the road. They are also some of the most complex types of cases in personal injury law and require the help of an experienced accident attorney. 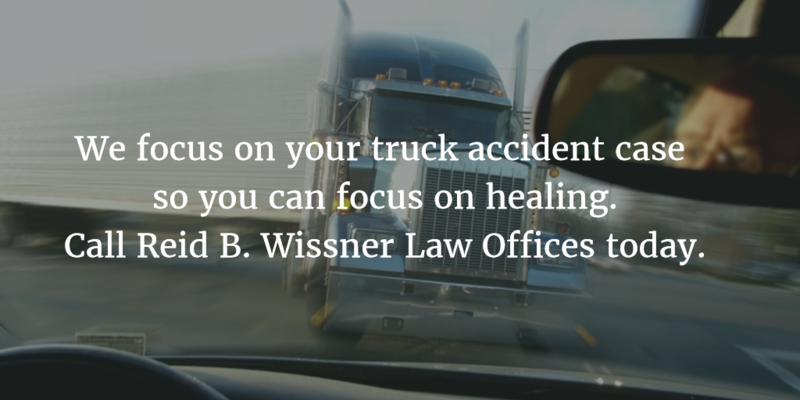 If you have been hurt in a truck accident in Brooklyn, Queens or the Bronx, please contact Reid B. Wissner Law Offices today by completing the form on this page or calling 212-406-9288 to discuss your case for free. Our firm works on a contingency-fee basis, which means that you owe nothing unless your case reaches a successful outcome. Truck accident claims are very complicated and detail-focused cases which involve a number of factors and parties who can be held liable for your injuries. You should never face these complex cases alone, especially if you have been injured and need to focus your full attention on healing. Reid Wissner has been helping accident victims successfully fight for the maximum compensation to which they are entitled for more than three decades. 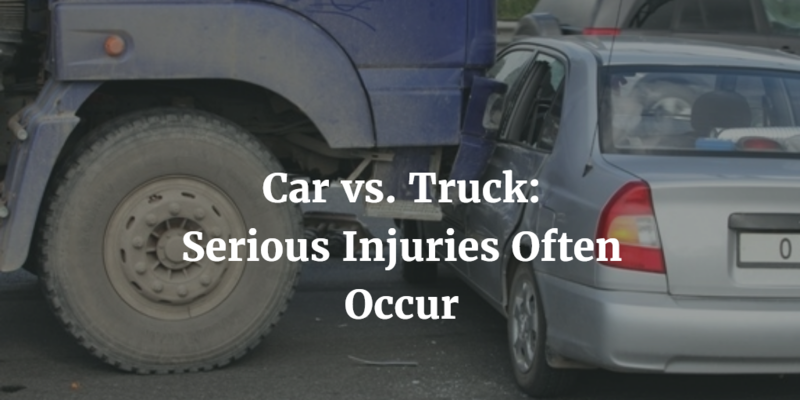 He understands personal injury law and the myriad of factors involved with truck accident cases. He knows how to determine liability, build your best case and fight on your behalf. The trucking company has its own insurance company and team of lawyers that will do everything they can to disprove, deny or diminish the value of your claim. With Reid Wissner on your side, you optimize your chances for obtaining a fair settlement. Personal attention: Unlike large firms that shuffle clients between lawyers, paralegals and assistants, at Reid B. Wissner Law Offices, you will work directly with Mr. Wissner from your initial consultation until the completion of your case. Thorough investigation: Reid Wissner has extensive experience with proving liability in accident cases. He carefully reviews accident scene evidence, police reports, witness testimony, driver history, trucking logs and more. You can rest assured that no stone will be left unturned when working to prove your case. Experience: Reid Wissner has established a hard-earned reputation for protecting the rights of accident victims. He has helped thousands of clients and recovered tens of millions of dollars in damages for those he represents. He has operated out of the same building for more than 30 years and understands the neighborhoods, districts and communities of New York City. If your accident occurred in Queens, Brooklyn or the Bronx, Mr. Wissner can truly offer you a home field advantage in your case. Aggressive and fair representation: Reid Wissner hasn’t built a reputation of success by backing down to insurance companies. He understands your rights and is passionate about helping you get the full and fair compensation you deserve to get your life and family back on track. He never backs down from a fight and will not be intimidated by trucking companies, legal teams or insurance providers. Distracted driving: In the age of the cell phone, distracted driving is more of a danger than ever before. However, there are many other reasons why some truck drivers may shift focus away from the road, such as eating, grooming and adjusting radio controls. Speeding: Driving over the speed limit is a dangerous practice for any vehicle on the road, but considering the excessive size and weight of tractor trailers, high speeds are particularly hazardous fro trucks. Unfortunately, many trucking companies hold their drivers to impractical schedules that may compel truck operators to drive faster and longer than is safe. Inadequate time to stop: Trucks are very heavy and require an adequate amount of time to come to a stop. Misjudging the distance needed to stop can result in serious collisions. Jack-knifing: When a semi truck loses control, the truck’s trailer and cab can come together at an angle. This dangerous occurrence is known as jack-knifing. Improperly trained drivers: Driving a large 18-wheeler requires skill and training. When trucking companies fail to provide adequate training to their drivers, the risk for accidents increases dramatically. Poor truck maintenance: This can include engine and electrical problems, poor brake maintenance and even mirror issues. Improperly loaded cargo: If cargo is too heavy, unsecured or not distributed evenly in the trailer, it can cause the trailer to tip and in some cases, the cargo to fall out altogether and cause an accident. Fatigued driving: In order to meet deadlines and stay on schedule, some drivers stay behind the wheel for extended periods of time. These drivers may become drowsy or less alert and less able to respond to situations than if they were well rested. Driving while impaired: Whether under the influence of drugs or alcohol, impaired drivers are incredibly dangerous to themselves and to those with whom they share the road. If you’ve been hurt in a truck accident, you should contact our lawyer even if you are unsure if your injury is grounds for a claim. All types of injuries can have long lasting consequences for your ability to work and your enjoyment of life. Many injuries can take weeks or even months to fully manifest. Even an injured finger or wrist has the potential to worsen and keep you from performing daily tasks at work and at home. If you’ve been injured in any way, call us. It’s free to discuss your situation with Mr. Wissner. If he doesn’t think you have a case, he’ll tell you. If he believes you deserve compensation for your injury, he will work closely with you to develop a strong case on your behalf. Medical expenses: Your medical costs could include appointments, emergency room visits, surgeries, hospitalization, medical devices, physical therapy, fees and other medical bills. Lost wages: If you have to take time away from work or are unable to work as a result of your accident, you can seek compensation for your lost wages. You can also seek damages for future lost wages and a diminished earning capacity. Pain and suffering: This includes both the physical suffering you have endured as well as emotional pain you have experienced as a result of your crash. A number of federal regulations govern the trucking industry, and any large trucking company will have a legal team dedicated to protecting its interest in the event of a lawsuit. When seeking a truck accident lawyer to represent your best interests, it’s crucial to choose someone who has a clear understanding of the Federal Motor Carrier Safety Regulations and how to effectively apply them to your case. In some cases, the trucking company itself could have could have contributed to the conditions that led to your accident. Reid Wissner will examine every aspect of your case and hold the responsible parties accountable for the harm they have caused you. It costs you nothing to speak with our experienced truck accident attorney and discuss the details of your case. To schedule a free consultation, please call Reid B. Wissner Law Offices today at 212-406-9288. We protect the rights of accident victims from Queens, Brooklyn and the Bronx.